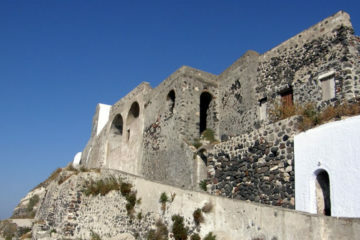 The Emporio Castle, which is preserved until now, has a surrounding defensive wall created by the outer houses forming an unbroken line. 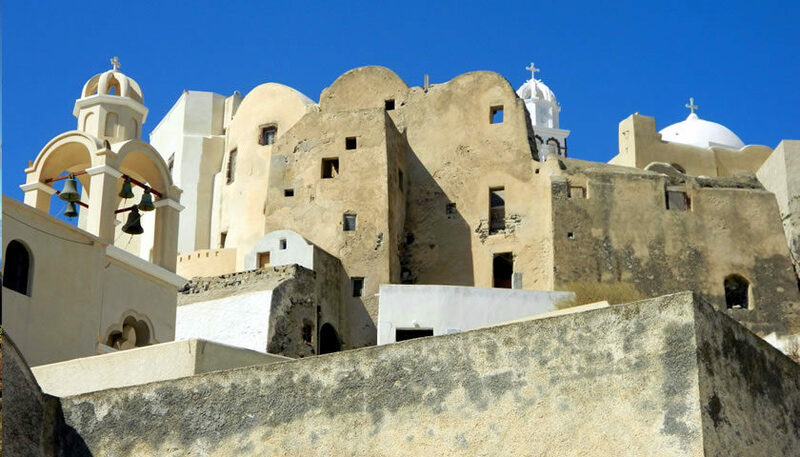 Its alleys seem to form a labyrinth and you can see staircases climbing up to miniature balconies, overhead bridges between houses, arches and domes. 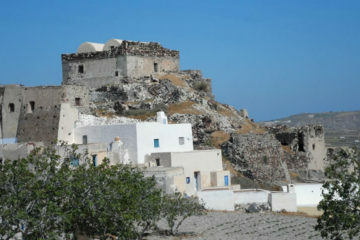 The settlement was erected close to the Goulas (medieval fort). 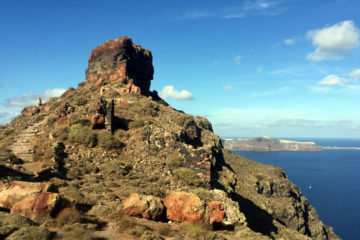 The Goulas fort belonged to the Dargentas’ family and as soon as the danger or the pirates passed, it became a dependency of the Patmos monastery, inhabited by monks who were under the authority of Aghios Ioannis (Saint John) Theologos monastery.